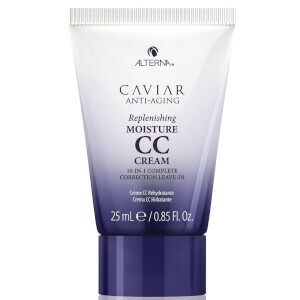 Alterna CAVIAR Anti-Aging Replenishing Moisture Conditioner is a luxurious, lipid-rich daily conditioner cleanser that replenishes and seals in moisture while protecting hair from color fade, daily stresses, and future damage. With a progressive blend of technologies including Seasilk®, Age Control Complex®, Enxymetherapy®, and Color Hold®, you are sure to see a notable improvement in your hair‰Ûªs shine, texture, softness and manageability with use of this leave-in conditioner. 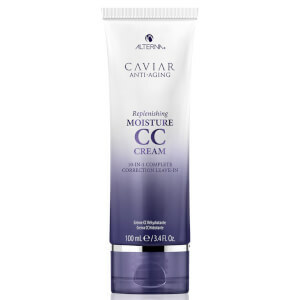 After cleansing hair, remove excess water and gently massage conditioner into hair and scalp. Rinse thoroughly. Water (Aqua), Cetearyl Alcohol, Cyclopentasiloxane, Behentrimonium Chloride, Cetrimonium Chloride, Glycerin,Dimethicone, Hydrolyzed Rice Protein, Hydrolyzed Vegetable Protein PG-Propyl Silanetriol, Ascorbic Acid, Linum Usitatissimum (Linseed) Seed Oil, Caviar Extract, Polysilicone-15, Phospholipids, Helianthus Annuus (Sunflower) Seed Oil, Tocopheryl Acetate, Butyrospermum Parkii (Shea) Butter, Divinyldimethicone/Dimethicone Copolymer, Algae Extract, Jojoba Esters, Cetrimonium Bromide, Dimethiconol, Saccharomyces/Magnesium Ferment,Saccharomyces/Copper Ferment, Saccharomyces/Silicon Ferment, Saccharomyces/Zinc Ferment, Saccharomyces/Iron Ferment, Superoxide Dismutase, Amodimethicone, C11-15 Pareth-7, Glycereth-26, C12-13 Pareth-23, C12-13 Pareth-3, Trideceth-12, Polyquaternium-37, Laureth-9, Dicaprylyl Carbonate, Lauryl Glucoside, Guar HydroxypropyltrimoniumChloride, Butylene Glycol, Disodium EDTA, Citric Acid, Methylisothiazolinone, Phenoxyethanol, Fragrance (Parfum). Leaves my hair hair soft & conditioned without being flat. I like the product a lot. 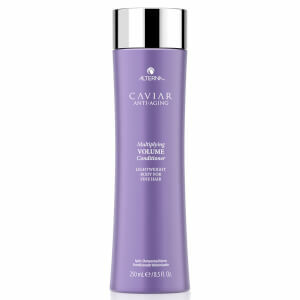 I really like alterna hair shampoo and conditioner. They make my hair soft and smooth. I recommend these products to all my friends! My hair was dry and tangled and when it used it at the first time my hair became so smooth and moisturizing. It never tangles anymore. I can't find a better conditioner! 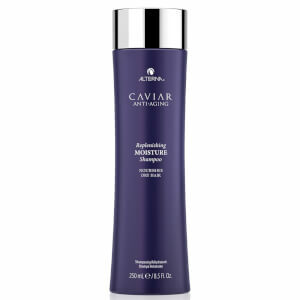 Alterna is the best hair treatment I've ever used. Love this conditioner. Love this conditioner! It does not strip your hair color and leaves your hair so soft and manageable. The only conditioner I will use on my hair. Also, use it with the moisture shampoo! I have noticed as I get older that my hair easily becomes dry and dull, but this conditioner revives my hair without being heavy or leaving any residue. My hair looks healthier and shinier and is no longer dry to the touch. Highly recommend. Moisturizing. Makes hair silky smooth. Use with shampoo for best result.